ADVA Optical Networking and InterNexa performed a successful field trial of Telecom Infra Project’s Voyager open optical transponder over a 1,400 km optical fiber ring connecting the cities of Bogotá and Medellin. The test delivered 200 Gbps on a single optical port. The trial used an open “white box” architecture that disaggregates the hardware and software. Voyager integrates in a single rack unit (1RU) chassis IP packet technologies, switching and DWDM transponders. ADVA integrated the Voyager hardware and software components. 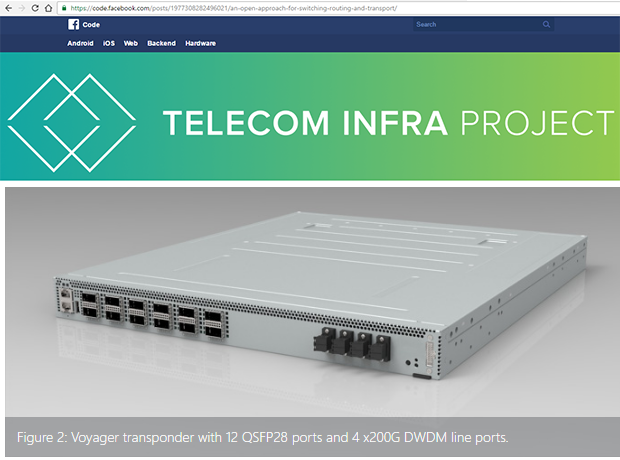 "We have found the Voyager Transponders very attractive for both their capacity on the DWDM line side for 100G/200Gbps speeds, and for the support of Layer 2 and Layer 3 protocols and features,” said Gabriel J. Vivares Arias, Product Development Specialist at InterNexa’s Product Management. “So we worked with ADVA Optical Networking to design a trial in our network, over our DWDM system that interconnects the main cities of Colombia -- Bogotá, Medellin and Cali -- in order to run tests on an optical fiber network with a ring topology approximately 1,400 km long, based on a 50GHz ROADM architecture designed to support 40 x 100G channels, with optical links up to 130 km on the direct route Medellin - Bogotá (370 km in total) and at least 3 links with 180 km on average on the route through Cali, Medellin - Cali - Bogotá (1,040 km in total)." In addition to the recent deployment of the Groove G30 platform, the Coriant metro to long haul packet optical transport solution for Telefónica Colombia includes the latest features of the Coriant hiT 7300 Multi-Haul Transport Platform and the Coriant mTera Universal Transport Platform. “We are pleased to support one of the most technically advanced networks in the region that is optimized to serve the needs of Telefónica Columbia’s customers today and into the future,” said Uwe Fischer, Executive Vice President, R&D and PLM, and Chief Technology Officer, Coriant. 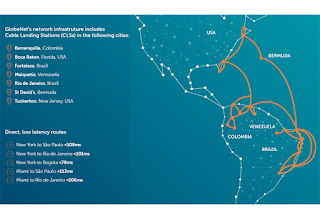 ECI, the Elastic Network company, announced that in partnership with Media Commerce based in Bogota, the largest operator of optical network infrastructure in Colombia, it has completed the deployment of packet-optical metro and aggregation networks nationwide. Media Commerce of Colombia, founded around ten years ago, has subsequently expanded through both the acquisition of local operations and building out networks for operators. The company also has a history of investing in the upgrade of its fibre infrastructure to improve coverage for business and private networks regionally. The new Media Commerce infrastructure features a combination of ECI's Apollo (OPT) and Neptune (NPT) family of products, with management provided by the LightSOFT NMS solution. ECI's Apollo suite is designed to provide transparent and flexible DWDM transport with integrated packet services. The platform combines low-latency OTN transport and OTN switching with software-configurable optical routing for enhanced efficiency. 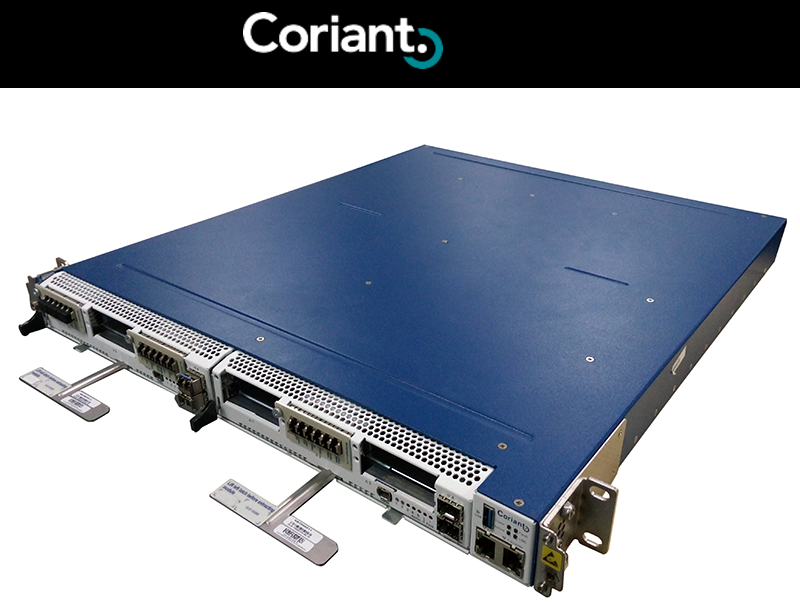 For the project with Media Commerce, a combination of the Apollo 9603 and 9608 solutions provides the foundation for the optical backbone. The Neptune family of products, supporting packet transport with integrated optics, will provide transport in the metro rings. Neptune offers a MPLS-based, multi-service packet transport solution for metro networks, and via a range of interfaces is designed to enable cost-optimised, multi-service packet transport of both packet and TDM-based services over a converged packet infrastructure. Level 3 Communications activated a new subsea cable landing station in Buenaventura, Colombia, giving the country a Pacific Ocean route to connect to its international network. At launch, Level 3´s undersea system has a total installed capacity of eight terabits of which 400-gigabits are already available. The fiber optic undersea cable runs 300 kilometers to the seaport city of Buenaventura on Colombia's Pacific coast, then 154 kilometers over land to the city of Cali, where it connects with Level 3's national fiber optic system that provides access to the main Colombian markets. Level 3 said demand for connectivity and network services in Colombia and Latin America is rising. Colombia’s UNE EPM Telecomunicaciones has deplooyed a 100G core supporting both mobile and fixed-line customers in urban area using the Alcatel-Lucent 1830 Photonic Service Switch (PSS). 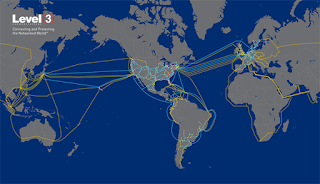 The DWDM/OTN network includes the main fiber rings in Colombia’s national backbone network to connect submarine landing points in Cartagena, Barranquilla and Tolu with the main capital cities including Bogota, Medellin, Bucaramanga, Cucuta, Cali, Ibague, Neiva and Popayan. 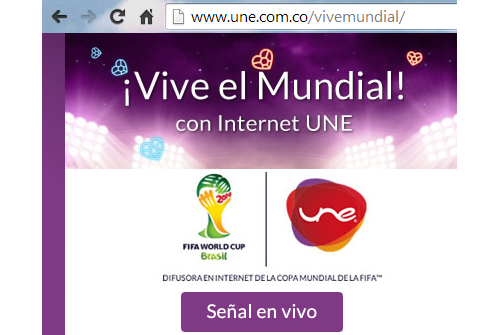 The network, which boasts 8.8 Tbps of capacity, became operational in time to deliver video services for the World Cup. 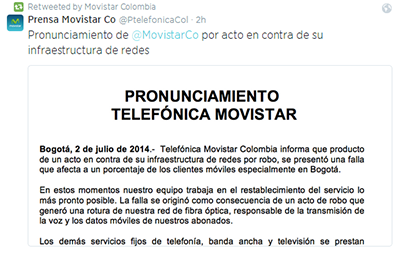 Telefónica Movistar Colombia suffered a widespread outage of its mobile network in the capital city of Bogotá and other parts of country. The company cited an act of theft that damaged its fiber infrastructure. Virgin Mobile users were also impacted. 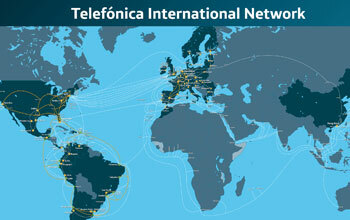 Telefónica's fixed line, broadband and TV services were not impacted. Level 3 Communications is planning a new undersea cable connecting the Pacific coast of Colombia to its international undersea network. The project will reduce Colombia reliance on international fiber connectivity via its Caribbean coast. Empresas Municipales de Cali, a state-owned utilities services company, will construct the terrestrial portion linking the coast to the city of Cali, Colombia. "Level 3 has been continually enhancing its network and services in Colombia to offer optimal solutions to our customers. This new Pacific subsea cable, in tandem with management from an experienced carrier such as EMCALI, should result in meaningful benefits for the country," said Hector Alonso, regional president of Latin America for Level 3. NEC has delivered a 100Gbps transponder to Internexa, a newregional carrier in South America which has already started commercial operation in Colombia. 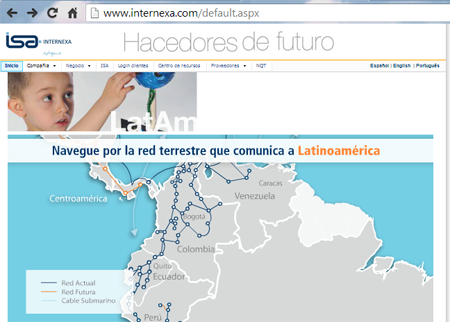 Internexa, which is as an affiliate of the ISA, is building a wholesale transmission network spanning 28,000 km connection Venezuela, Colombia, Ecuador, Peru, Chile, Argentina and Brazil using terrestrial fiber primarily mounted on electrical infrastructure. The transponder that NEC delivered for the construction of these network projects incorporates a 100Gbps digital coherent technology developed by NEC and a DP-QPSK modulation system to support high-capacity transmissions of a maximum of 96 waves. Prior to its introduction, a test was conducted by integrating NEC's 100Gbps transponder seamlessly into Internexa's existing optical transmission system located on the optical layer of the current 80 x 10Gbps DWDM System provided by a third party vendor. The transponder earned higher marks than its competitors for its signal characteristics, implementation efficiency, footprint and energy-saving performance. "In recent years, telecommunications traffic is rapidly increasing in response to the growing use of smartphones, machine to machine, cloud computing, digital cities, CDN's, tablets and the launch of LTE services. As a result, the expansion of optical fiber networks that can accommodate this growing traffic is urgently required in Latin America," said Genaro Garcia, CEO, Internexa. "The 100Gbps transponder provided by NEC to Internexa in Colombia has demonstrated significant competitive advantages, such as rapid implementation, efficiency and excellent performance. This allows us to continue offering customers the best services through our networks." INTERNEXA recently acquired NQT, a wholesale carrier company which provides telecommunications transport and Internet access services in the state of Rio de Janiero, Brazil, which has among its clients small, medium and big telecommunications companies, some of which offer specific services to the energy market. NQT operates a 2,700km long network and is based on an open business model, which allows the company offers services to all telecommunications operators. Avantel, a new entrant in Colombia’s LTE landscape, has selected Nokia Solutions and Networks to supply the complete infrastructure for its LTE network. NSN will provide the complete suite of radio and core network equipment along with, as well as build and operate services so that subscribers in Bogota can enjoy a host of advanced mobile broadband services. Under the build-operate-transfer agreement, NSN will deliver an LTE network using its Flexi Multiradio 10 Base Stations and Evolved Packet Core (EPC). The network will use NSN's Subscriber Data Management (SDM) solution, including New Technology Home Location Register (NT-HLR) and One-NDS for a centralized database repository. NSN will also supply its ATCA-based Mobile Voice Core solution, which, in the first phase of the roll out, will be implemented with CSFB voice call features to ensure voice services for LTE customers. In the second phase, NSN will deploy its IMS solution to enable the implementation of VoLTE for providing high-definition voice services to Avantel’s subscribers. In addition, NSN will provide its NetAct management system to ensure consolidated configuration, monitoring and network optimization for Avantel’s radio and core network. The Performance Manager will enable 360 degree insight to network performance. NSN said the deal also includes a complete range of services such as network implementation, planning and optimization, systems integration and network operations where the OSS will be managed by NSN. Financial terms were not disclosed. NSN noted that it now has 117 commercial references for the delivery of LTE as of January 2014. In November 2013, Avantel announed US$250 million in venture funding to support its rollout of LTE in Colombia. 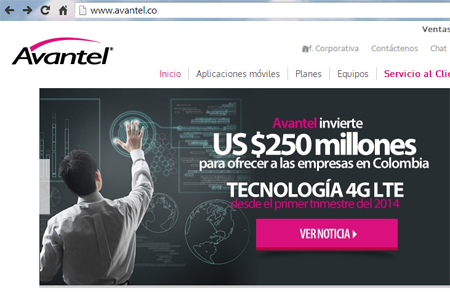 Avantel Investors included Grupo Banco Mundial, Appaloosa Management, CAF - Banco de Desarrollo de América Latina and other private parties. In Colombia's recent auction, Avantel secured 30 MHz of AWS (Advanced Wireless Services) spectrum in the 1710-1755 and 2110-2155 MHz bands. Alcatel-Lucent will supply its IP/MPLS solution to Lazus, a telecommunications operator working under the model carrier to carriers in Colombia, Panama and Costa Rica. The IP/MPLS solution, to be deployed for metro networks in nine Colombian cities this year, will deliver high-bandwidth, high-performance mobile backhaul and wholesale metropolitan services for IPTV and Triple Play, business and cloud service providers. Lazus plans to use Alcatel-Lucent's converged IP/MPLS to provide continuous nationwide 2G, 3G and 4G-enabled services for subscribers of their service provider customers in the Colombian cities of Bogota, Barranquilla, Cartagena, Santa Marta, Sincelejo, Monteria, Bucaramanga, Cali and Popayan. The deployment includes the 7450 Ethernet Service Switch (ESS), 7705 Service Aware Router (SAR) and 7210 Service Access Switch (SAS), as well as advanced network management and network planning tools, and professional services. Level 3 Communications has launched its newest data center in Bogotá, Colombia. The new facility adds 1,700 square meters to Level 3’s current data center complex in Bogotá. The Tier III data center is built for earthquake preparedness and energy efficiency. It implements the 2N philosophy (system + system), which results in higher redundancy and reliability. 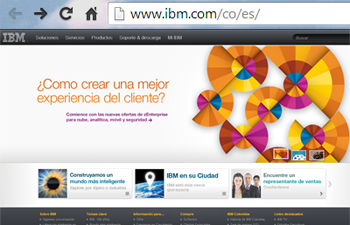 IBM will invest US$17 million in a new data center in Bogota, Colombia. The new center will provide Colombian companies with Cloud Computing and Big Data services. The new facility expands the US$8 million investment IBM made in Colombia when the company opened a data center in 2011. Since 2009, IBM has opened nine IT Services Centers located in Brazil, Mexico, Costa Rica, Chile, Colombia, Peru and Uruguay. According to Colombian consulting firm Vision Growth Consulting, "Colombia is one of the fastest growing countries outsourcing datacenter services in Latin America, with an estimated 15.3% growth of the data center services market in Colombia in 2013, mainly driven by cloud computing, among others, which is already a reality in the country." "In the current competitive environment, Colombia companies are looking for high value solutions that help them solve complexity through innovation and business insight by addressing organic growth and productivity issues. Our new datacenter and our professionals aim to contribute to the private and public companies' development and the country's progress. This new investment showcases our clients' trust in our expertise and services, as well as the commitment IBM has made to the country's growth," said Francisco Thiermann, General Manager IBM Colombia. Level 3 Communications announced the construction of its newest data center in Bogota, Colombia. The new Premier Elite data center, designed to support managed services, will provide onsite technical staff, is expected to be operational by the second quarter of 2013. "The Colombian market shows a growing demand for colocation, housing, hosting and value-added services," said Luis Carlos Guerrero, sales vice president for Level 3's Andean region. "The trend to outsource these services to a trusted business partner – one that will support the customer in its expansion strategy – is crucial for companies today so they can focus on their core business." Level 3 currently operates 14 existing data centers in Latin America. Alcatel-Lucent has been selected to deploy a new 100G submarine cable system linking Jacksonville, Florida to Manta, Ecuador. The Pacific Caribbean Cable System (PCCS) will be a 6,000 km submarine cable system owned by Cable & Wireless Communications, Setar, Telconet, Telefónica a Global Solutions and United Telecommunication Services (UTS). In addition to Florida and Ecuador, the system will connect the islands of Tortola, Puerto Rico, Aruba and Curacao, as well as Cartagena in Colombia and Maria Chiquita and Balboa in Panama. The system will have an ultimate design capacity of 80 Terabit-per-second. Alcatel-Lucent will supply an integrated 100G wet plant of cable optimized with coherent submarine fiber and high bandwidth repeaters, power feed equipment, and its 1620 Light Manager (LM) submarine line terminal equipped with advanced coherent technology. Commercial activation is expected by the third quarter of 2014. Telefónica International Wholesale Services (TIWS) is deploying Infinera's DTN-X platform to upgrade the SAm-1 submarine Cable Network, which links North and South America. SAM-1 spans 20,000 fiber kilometers and has landing stations in Brazil, Argentina, Chile, Peru, Ecuador, Guatemala, Colombia, Puerto Rico and Florida. Infinera’s DTN-X enables Telefonica to deploy 500 Gbps long-haul FlexCoherent super-channels integrated with 5 Terabits per second (Tbps) of Optical Transport Network (OTN) switching per bay. Infinera also supports multiple software-programmable modulation formats for optimization of the network. Integrated OTN switching is coupled with a GMPLS control plane to deliver wavelength flexibility. TIWS designs and manages the international communications infrastructure of the Telefónica Group, offering an integrated voice, video and data network, with more than 100 points of presence distributed across 60 cities and 40 countries. The company has been using the Infinera DTN platform, based on 100 Gbps PICs and 40Gbps coherent modulation, since 2009, to upgrade its submarine network throughout South America. Azteca Comunicaciones Colombia is deploying Alcatel-Lucent’s point-to-point fiber broadband access technology and a combination of optical transport and Internet Protocol (IP) routing solutions under Colombia's national broadband initiative. The networking infrastructure being deployed by Alcatel-Lucent for Azteca Comunicaciones Colombia will connect in 216 municipalities throughout the country. Alcatel-Lucent confirmed that it is supplying its 7330 Intelligent Services Access Manager (ISAM) FTTN supporting point-to-point fiber access, its IP/MPLS solution, based on its 7750 Service Router (SR) and 7705 Service Aggregation Router (SAR), and its 100G next-generation coherent technology, supported by the 1830 Photonic Service Switch (PSS). In addition, Alcatel-Lucent will provide services such as installation, project management and technical support for 2 years as well as operation and maintenance of the network. Financial terms were not disclosed. Azteca Comunicaciones Colombia has selected Ericsson's IP network equipement to deliver broadband services to more than 397 municipalities under Colombia's national broadband initiative. The broadband services will be delivered using Wi-Fi and point-to-multipoint wireless access. The network will include Ericsson's flagship SSR 8000 family of Smart Services Routers, deployed as core routers; SmartEdge Multi-Service Edge Routers; the SPO 1400 family of Packet Optical Transport Platforms (POTPs); and Ericsson Wi-Fi access points, controllers and management. "This contract is a major endorsement of our 4th generation IP network solution and marks the beginning of a new partnership between Ericsson and Azteca Comunicaciones Colombia. The solution will enable Azteca Comunicaciones Colombia to offer a rich suite of differentiated services and the scalability of the platforms will ensure the ability to meet future traffic and subscriber growth targets," stated Jan Häglund, Head of IP and Broadband, Ericsson.